The world of journalism is evolving quickly, as traditional media outlets, such as newspapers and magazines, figure out how to best position themselves online. At Hub & Spoke, we’ve been lucky enough to work with over a half dozen publications, ranging from traditional magazines covering specific industries to regional prestige publications that talk about the latest in travel, food and fun. 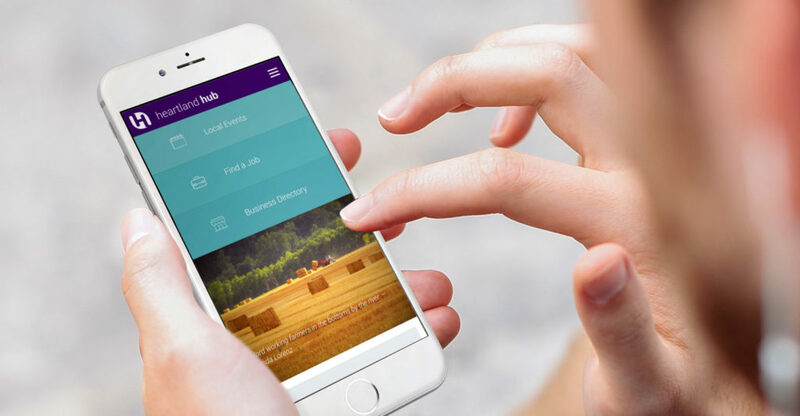 When Heartland Hub approached us this spring, we jumped at the opportunity to help chart the course of a new online-only media outlet hoping to reinvent community coverage. The publication focuses on Scott, Bollinger, Ste. Genevieve, Cape Girardeau, and Perry counties in Southeastern Missouri, as well as Randolph county, Illinois. Its offices are in downtown Perryville. 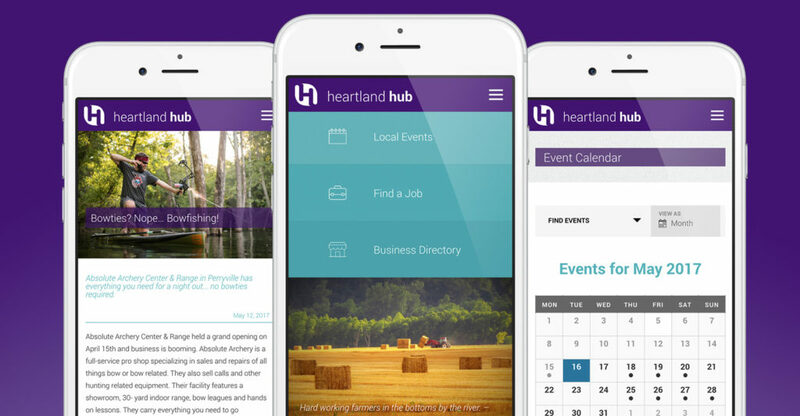 After leaving their traditional newspaper jobs behind, the team at Heartland Hub approached Hub & Spoke with a solid concept for their website, already talking with potential news sources, advertisers and community leaders about the project. Through our discovery process, we were able to help hone the overall information architecture and design, determining the best integrations and layouts to aid in storytelling. News websites can be dense. Just think about the homepage of your local paper, like the St. Louis Post-Dispatch, or national publications like The New York Times. During the design phase, we worked to create a layout that was flexible and adaptable to various forms of content, while making it easy for readers to skim. Using a unique grid-based approach, the website’s homepage and categories are easily digestible, while being visually interesting, almost like large photos in a newspaper. The website was built with WordPress powering the back end, along with a responsive (mobile-friendly) design. No matter the device, users see a custom crafted experience. Hub & Spoke also worked with Heartland Hub to ensure the website was properly connected to various social channels, like Facebook and Twitter, along with creating a job board, community business directory and events calendars. “Hub & Spoke brought our vision to life. They were understanding, worked on our level, and guided us through the entire process with ease. They understood our need to launch in a timely manner and met every deadline. We are so appreciative of the process and the final product and look forward to working with Hub & Spoke on future endeavors,” added Lyerla. No matter if you’re a news publication or a small business owner looking for a website change, the nimble team at Hub & Spoke is here to help make it happen. It all starts with a simple conversation that can lead to a custom website design that tells your story. Is Flat Design Changing the Shape of the Web?